Where on Earth is your safety? 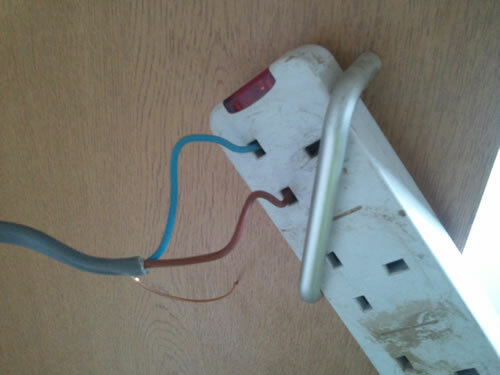 "The plug was missing and the exposed wires had been placed directly into the socket. Very dangerous!" " " Exposed electrical wiring creates both a risk of shock and a fire hazard. Wires should be correctly connected to a plug and the extension lead should be positioned carefully to prevent damage to the cable. "This escape staircase is very slippery...not ideal for an emergency exit." 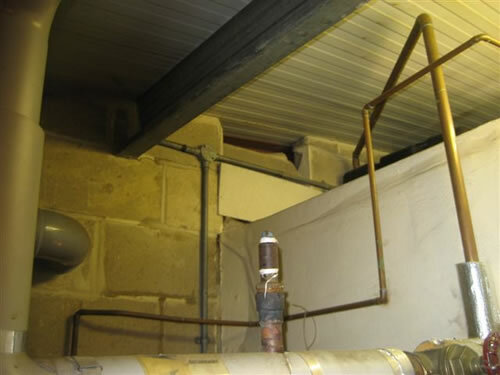 " " Fire escape routes and exits should provide a quick and safe way of evacuating the building. A slippery staircase can be particularly hazardous when people are rushing to escape in an emergency. 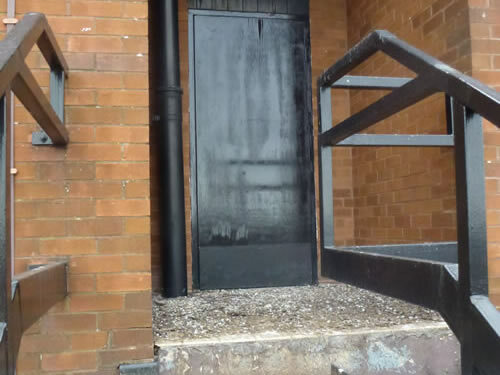 Clean fire escape stairs regularly and apply a slip-resistant material to steps to improve grip in wet conditions. "I found this extinguisher on the floor... but couldn't put it on the bracket because it had been fastened upside down!" 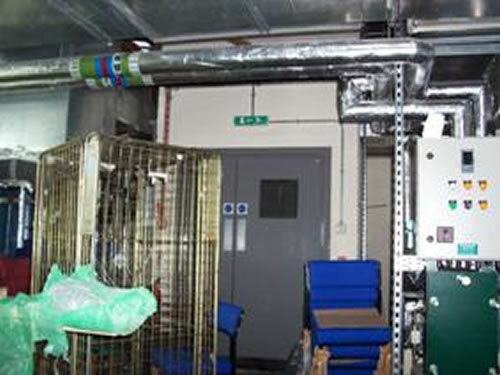 " " As with all fire safety equipment, it is important to make sure installation and maintenance are carried out properly. Always consult the instructions and if needs be, the guidance of your fire safety officer or manufacturer. 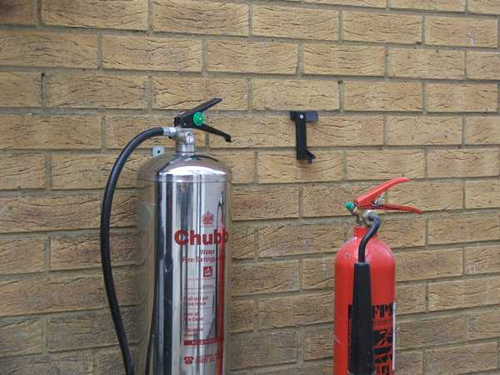 In this case the extinguisher would have easily been knocked and damaged or moved from its location as recorded in the fire safety log book, making raising the level of risk, especially in emergencies. "The fire panel showed that the alarm had already souned." 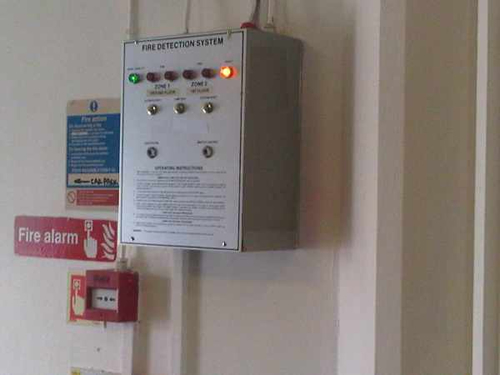 " " When an alarm sounds, especially when customers or clients are present, it can be tempting to hit the hush button on a fire alarm panel and then forget about it. But if you want the system to continue working as it should, you should always make sure it is reset. 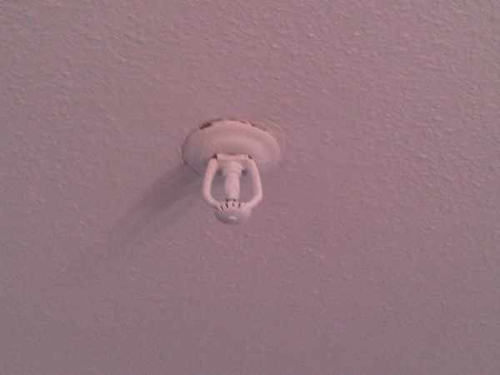 "We saved some money by doing our own painting, but didn't realise we weren't supposed to paint the sprinkler heads." " " Sprinkler heads have valves inside them that break when they reach a certain temperature. When coated in paint, this can interfere with the valves or even stop them breaking altogether. They can't be repaired or cleaned either and must be replaced completely, so it's important to protect them from paint when decorating. 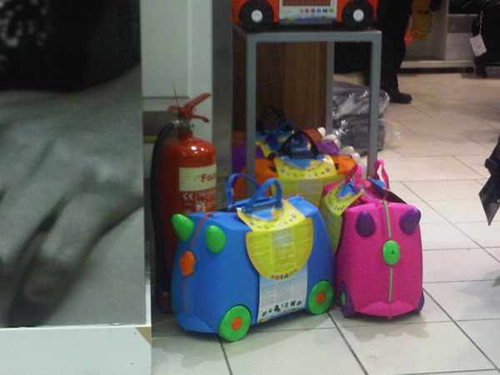 "At first glance, this could have been a childs toy!" " " While an extinguisher and other fire safety equipment can be in its correct location as specified in your fire safety logbook, hiding them away or mixing them with other items can still cause confusion in the case of emergency. 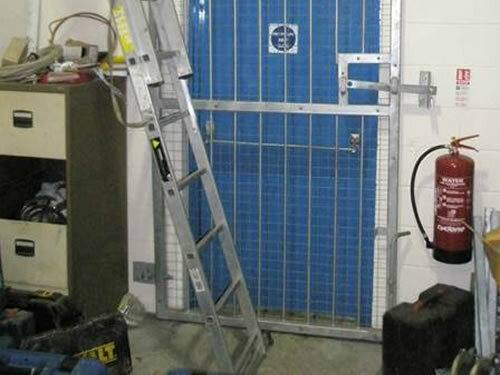 In some environments the equipment could also be tampered with or damaged when other items are close to it. "Where did you say the fire exit is?" 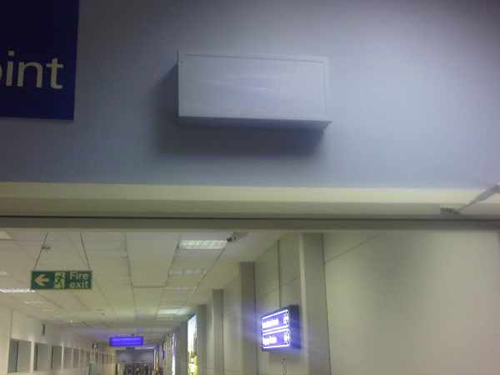 " " Emergency lighting units guide people towards safety in emergencies and evacuations. Obfuscating signage in any way will make this more difficult for people who aren't familiar with the layout of the building, but covering with paint like this will also restrict the light coming through, in case that there is a power outage and people need to escape in low light situations. "Among some tools, someone had erected this ladder right in front of the fire exit!" " " Not only should you make sure that access to firedoors are clear at all times to escape a fire, but also that when people are evacuating a building they don't need to interfere with any equipment, tools or objects that could cause them further harm. It's good to have a place for everything and make sure that all staff and visiting contractors are aware of them. "This hole was discovered where a small pocket of air would rush through." " " Various sections of the building will be sealed off from one another to help restrict fire and smoke spreading. It only takes a small hole to allow these to pass through and it can also work as a way of providing more oxygen to keep a fire burning for longer. It's important to remember to know what work has been carried out by contractors to make sure fire safety regulations aren't broken. "I'm no expert but I'm sure these doors should be clear, shouldn't they?" " " In emergencies, evacuees will promptly make their way to the nearest fire exit. If this is blocked or inaccessible it will cause confusion and possibly cause an acident in itself. The last thing you want is people trying to find an alternative exit or having to bring people back in to the building to help the injured, so keep the area clear at all times.